The exterior of the Sun Theater, 3625 Grandel Square, after renovation. The exterior of the Sun Theater before renovation. There are varying accounts of the Sun Theater’s history. Opening in 1913, the theater was a playhouse for St. Louis’ German speaking population. According to the Landmarks Association of St. Louis, a city directory in 1915 showed two names in use at the same time: The Victoria Theatre and the German Theatre. The original cost was $120,000 and the seating capacity was 1,800. The first production at the theater on March 1, 1913, was Johann Wolfgang von Goethe’s “Faust.” German actors performed the tragic play entirely in German. World events would affect the Victoria/German. With the onset of World War I there was a backlash against Americans with German ancestry. The theater closed as a result but reopened after the war under new management. It was called The Liberty and later The Lyn. A nomination form to list the theater on the National Register of Historic Places from 1978 details the building’s many uses. It was used for vaudeville and burlesque as well as a nightclub and evangelical church. By the late 1970s, the seating capacity had been reduced to 1,000 and a distinctive neon sign identified the building as the Sun Theater. 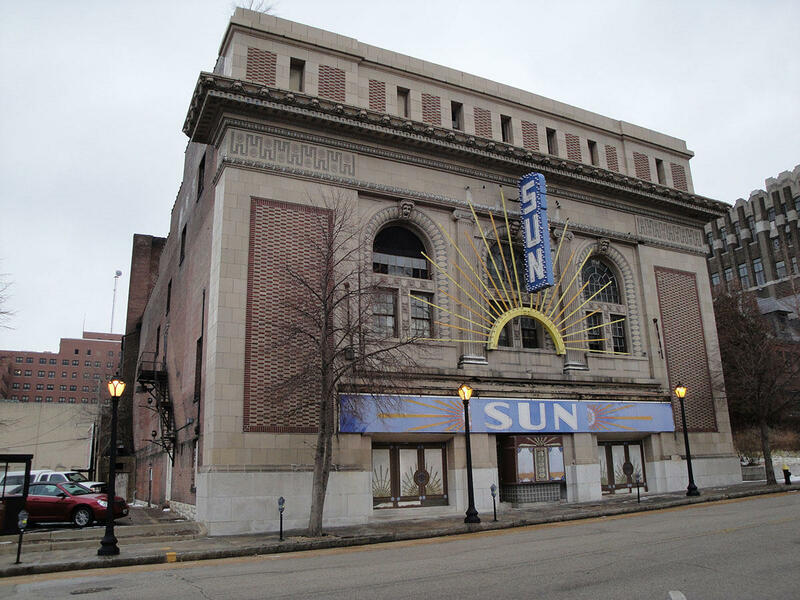 An audio tour of the Sun Theater as aired on "Cityscape" with Steve Potter. 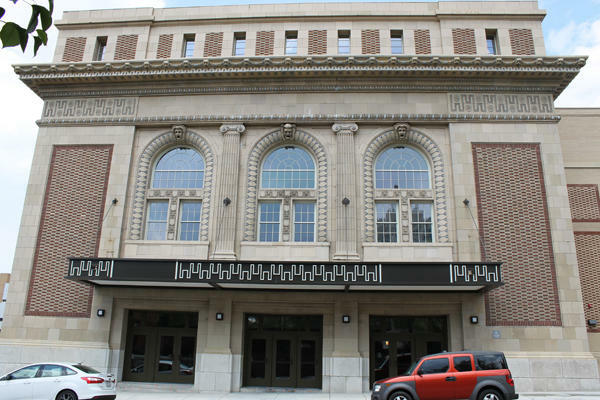 By 2010, plans were underway for the Lawrence Group to renovate the Sun Theater with the assistance of historic tax credits. But the building was in bad shape. 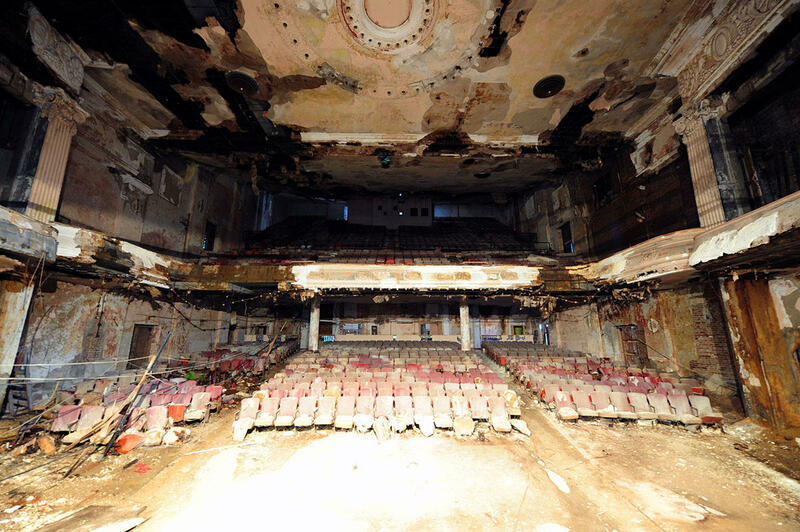 The interior of the Sun Theater before renovation. According to Glickert, at one point, a demolition crew was contracted to tear the building down. “Trees growing out of the roof, a wall was about to fall over and the plaster inside was probably six inches deep. It really did feel like we were in the middle of a war zone,” Glickert said. The renovation took one year but special attention was paid to historic details. 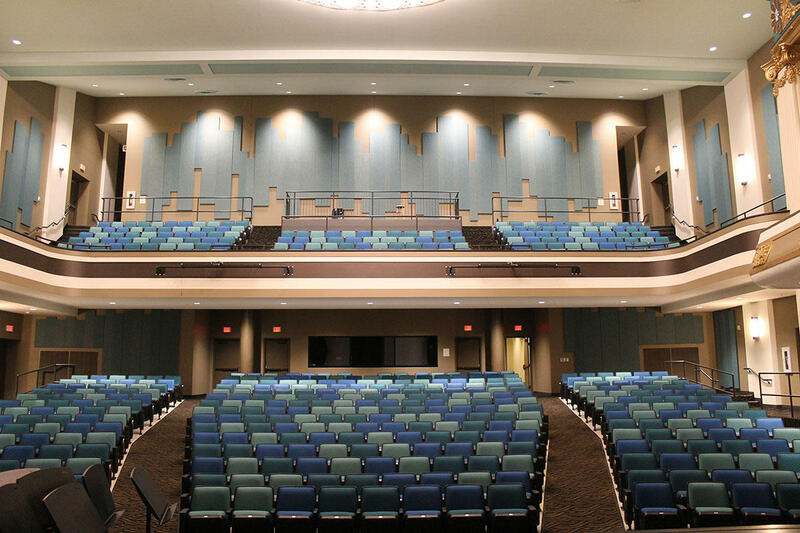 While the original theater had a capacity of 1,800, the renovation with the inclusion of classrooms, larger seats and more space has room for about 600 people. “That seems much more the right size for our purposes as well as for the community that’s very eager to have access to this theater,” Glickert said. The interior of the Sun Theater after the renovation. The Grand Center Arts Academy hosted the Sun Theater’s grand reopening last Saturday. It was used for school events three of the first five nights. The opening program was a nod to the building’s past. It included a pantomime of Goethe’s “Faust,” a vaudeville act and a gospel choir. The festivities, however, did not include one of the theater’s previous uses, burlesque, Glickert noted. It's time for my yearly update on Grand Center. What a happening and hopping place it has become. There have been dozens of additions to the arts district and still more are about to open. 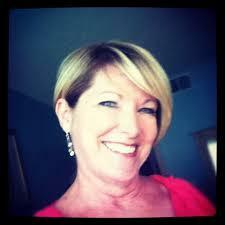 Lynne Glickert, who was ousted as principal of Grand Center Arts Academy, then brought back as interim principal after a storm of parental and student protest, has been named to a newly created leadership position at the school.